Take a break so your knee has time to heal. You'll only need 1 or 2 days of rest to ease minor knee pain, but severe injuries may keep you off your feet longer. Talk to your doctor if it doesn't get better after a few days. Exercise builds strong muscles around your joints, and that helps prevent injuries. Once your knee has had enough rest, get back out there. Low-impact water workouts or tai chi are good options. But don't overdo it or you'll risk more pain. Rest for a day or two to heal. 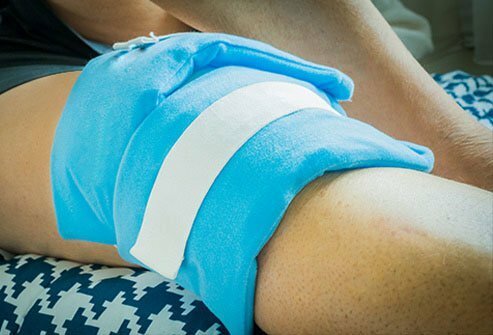 Ice your knee to calm inflammation. Compress (wrap) your joint for support and to stop fluid buildup. Elevate it on a pillow or stool to curb swelling. 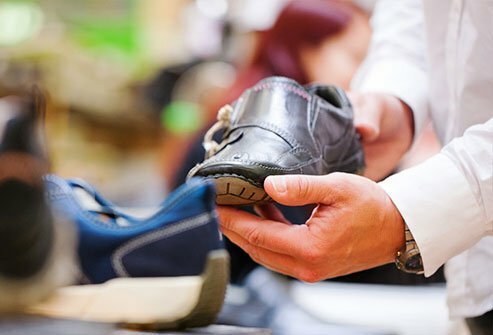 Wear shoes with good tread on them to cut your risk of a slip. Choose low-heeled ones with soft, rubber soles. Keep your home's hallways and stairwells well lit, and clear floors of things you could trip over. Feel unsteady? Use something to steady you as you move around. 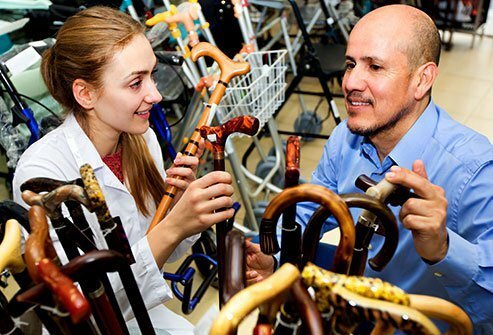 Choose a sturdy, strong, light cane with a rubber tip and a handle that's easy to grasp. Hold it at a 45-degree angle to be sure it's the right height. Find one in a color or style you like so you'll be more likely to use it. Extra pounds add strain to your knees and raise your risk of painful arthritis and injuries. But even moderate weight loss can make it better. 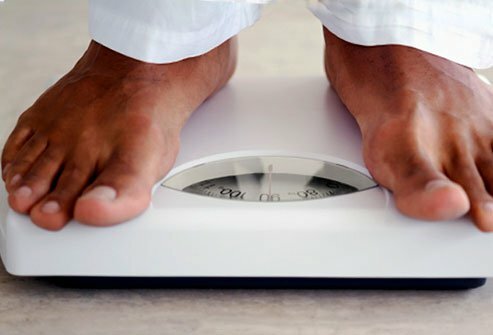 If you need to drop a few pounds, set a goal to lose just 5% of your current weight over the next few months. Tiny needles are put into the skin around your sore joint. Research shows it can ease knee arthritis pain, though it's still unclear how. Look for someone who's trained and experienced. Many states license acupuncturists. The muscles around your knees can get tight, and that can lead to painful injuries. Daily stretches can prevent that and muscle pain. 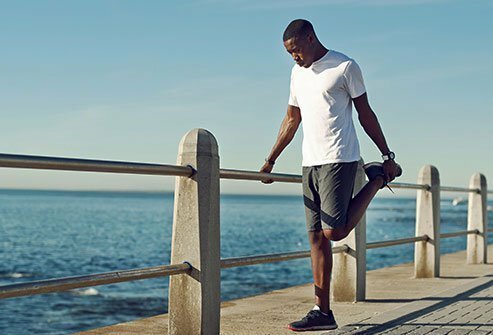 Ask your doctor or physical therapist for easy moves to help you limber up before you walk or do any other activity. If your knee pain flares, try hot or cold treatments. Moist heat is better for pain relief than dry. Soak in a warm bath, or zap a damp washcloth in the microwave. To ease a swollen knee, press a bag of frozen veggies wrapped in a towel against the joint. This can make your knee pain worse. Try out different positions, and put a pillow between your knees if you sleep on your side. Don't prop up a bent knee on a pillow, though -- that can make it harder to unbend your leg the next day. Support a sore, weak knee with a brace, sleeve, or tape. Ask a physical therapist to fit you with one or to tape your knee. A simple sleeve that fits over your knee can offer short-term pain relief, too. You can find them at the drugstore. You may get knee pain because you overload your joints. 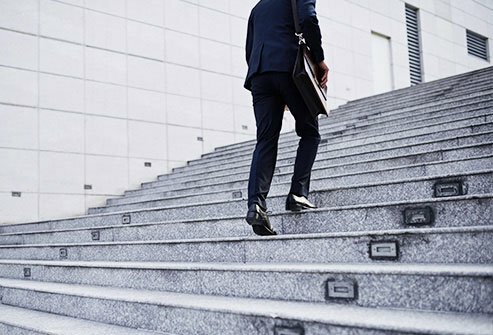 Movements you do over and over again, like go up and down stairs every day, can jar and wear down your knees. But don't sit for long periods, either. That puts extra pressure between your knee and leg bone that can cause pain. Choose shoes that support your arches, or get slip-in inserts at your local drugstore. If those don't work, you can ask your doctor about custom supports. But those can be expensive and don't always work better than the ones available over the counter. Shoes can stretch and wear out after a while. Don't keep wearing your favorite pair after their support and tread have worn out. 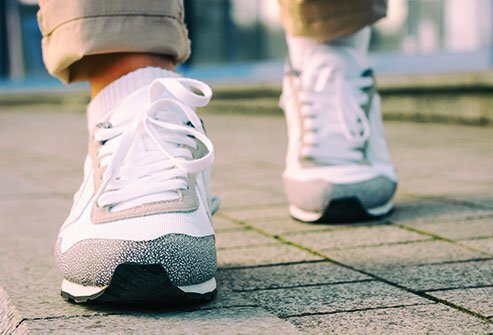 You may find that new shoes that support your feet and ankles well ease your knee pain. 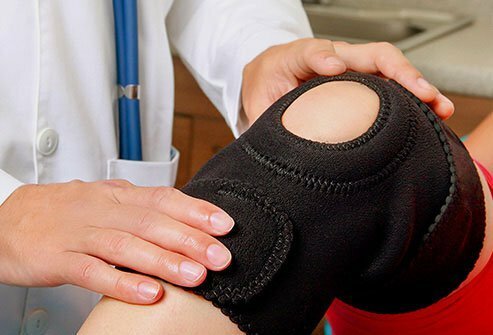 You don't have to deal with knee pain alone. Your doctor might prescribe medication or give you a steroid shot to help. She also might talk with you about surgery to replace worn joints or ligaments. Mayo Clinic: "Knee Pain: Self-Management"
American Academy of Orthopaedic Surgeons: "Knee Exercises." University of Florida: "Preventing Injuries From Trips, Slips, and Falls." 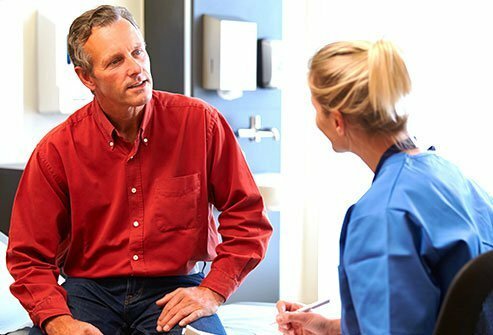 OsteoRelief Institute: "Knee Pain: Which Side Is Best to Use a Cane With a Bad Knee?" Resnik L. Disability Health Journal, April 2009. 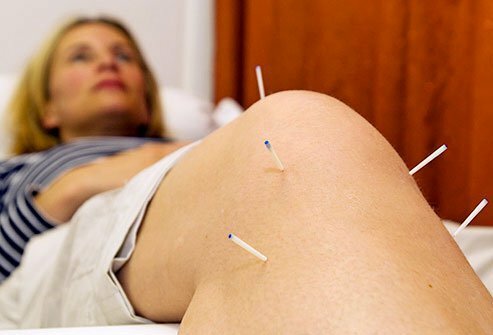 National Center for Complementary and Integrative Health: "Acupuncture: In Depth." Hospital for Special Surgery: "Conservative Management of Osteoarthritis." Juhn M. American Family Physician, November 1999. Hinman R. Annals of Internal Medicine, September 2016.